Arrived in NYC at 11pm and after getting to our apartment and dumping the luggage we headed out to do a lap of the block …. and find some beverages. America…love the fact that even the local grocer has a well stocked beer fridge. 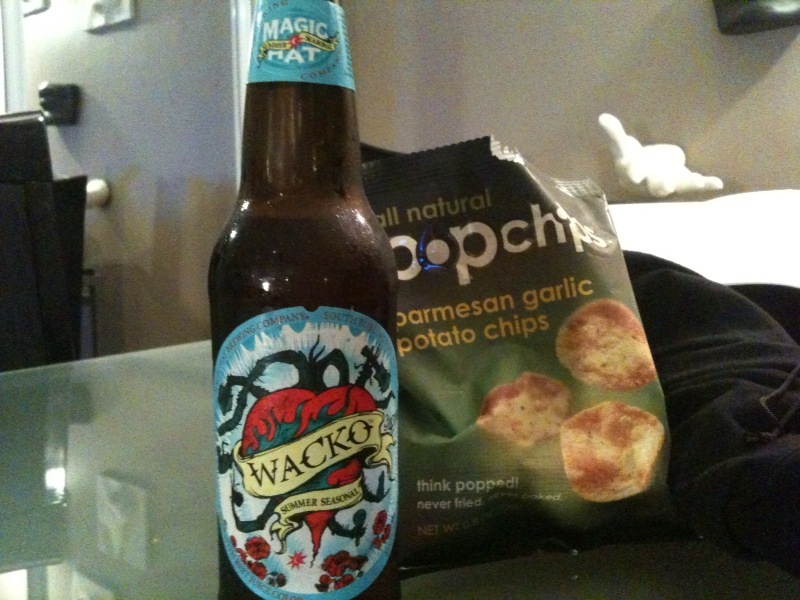 Settled on the Wacko Summer Seasonal from the Mad Hat Brewing Company, Vermont. The “beer with beet juice color” (note US English) went down a treat. Very much like our James Squire Golden Ale. After 5 hrs on a plane from LA, this lager helped me sleep till 11am the next day. PS Pat, my local bar, Griffins, looks brilliant but I’ll have to sneak away to review. Not one for the ladies.